Who in Germany isn’t familiar with them: the Deutsche Bank sign, the Viessmann and REWE trademarks, or the old SEL symbol? 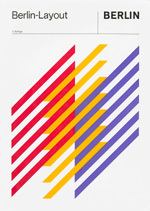 As a graphic designer, Stankowski worked on all facets of visual communications, but he was especially skilled at designing logos and complex visual systems. Here, the interplay of art and design is most obvious. He refused to separate the two fields, and thanks to this, Stankowski’s graphic designs developed their own, unique, previously unknown iconography. To his artistic ideas, he added the notion that information had to be conveyed, so that some of his logos had the aesthetic attraction of a work of art. Stankowski designed numerous logos, and many are still in use today. 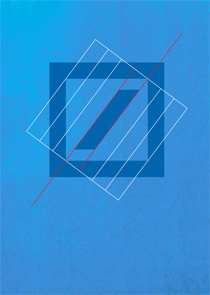 He not only worked with companies, but also with institutions or cities, such as Berlin, for which he designed a logo in 1969. Stankowski felt it was important to have direct contact with his clients. Many of his “corporate images” were developed in this manner, and have remained valid over the years, to this very day.